Lockable door(s) (keyed alike) with 2 keys (Models WJ & JK). 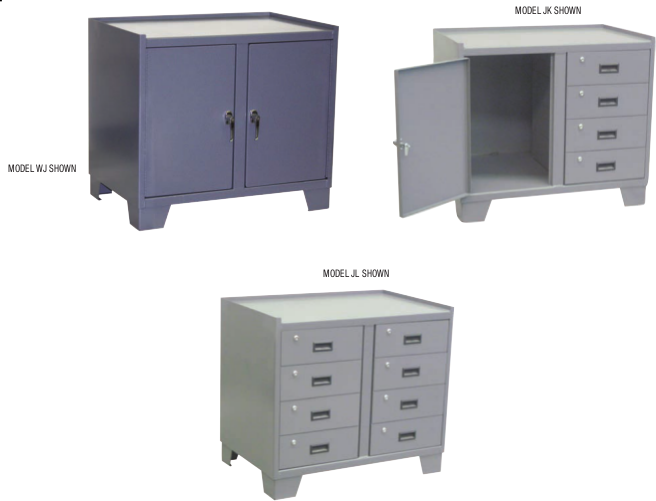 Lockable drawers (keyed alike) with 2 keys - 5”h x 16”w x 16”d - (Models JK & JL). Durable 14 gauge steel shelves, 14 gauge sides and 12 gauge feet. Clearance between shelves - 24” (Models WJ & JK).